Main entrance to St. Mary's from Main St. Previously St. Mary’s Church of Ireland and now the local library, it is located right in the heart of Ballinrobe within its own graveyard which is falling into disrepair. Its main pedestrian entrance is from Main Street, through a large archway, with a vehicular entrance from Church Lane which has some public parking. This is a tranquil oasis, a place apart, and yet at the centre of things, right in the middle of town. There are many mature trees on the site. The original Church used to dominate the skyline, but as the expanding English town was built by the Settlers, it became hidden away. Mayo County Council leased the building from the Church of Ireland in the early 1990’s and renovated it to suit the layout of a Library, adding toilets etc. It opened in 1996 to serve the local Community and has adult, child, and local history sections with computer and photocopying facilities also. Medieval Irish Churches, were frequently converted to suit the practices of the new Protestant religious requirements, and had been built usually of roughly coursed limestone. Few of the Church of Ireland denominations places of worship retain their original features especially, the seventeenth or eighteenth century physical arrangements of Churches as is the case with St. Mary's. The current architectural style of the St. Mary’s Church is typical of the early 19th century ‘Board of First Fruits’ Church which was used as a term describe an architectural style. 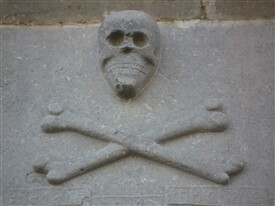 This re-introduction gothic elements of architecture and decoration in the late 18th and early 19th century in Ireland. 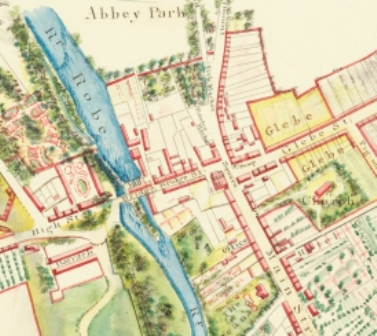 They were a result of the British Government funded, and Church of Ireland controlled Board, which made grants and loans available for the repair or building of Churches and Glebe Houses. 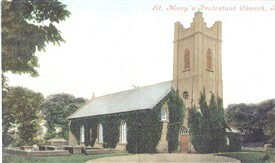 St. Mary's was a simple oblong, gable-ended structure and was probably converted for use by the Established Church sometime between 1660 and 1780. Many refurbishments and alterations took place over the centuries with the removal of the box pews c. 1860 and the triple tier pulpit. There was a steeple erected on a tower around 1815 which lasted only 9 years and must have sustained serious damage, perhaps from a great storm before its permanent removal. The earliest reference was to a John D. Courtney, 1671 MA. Rector and Vicar of Ballinrobe & Ballinchalla in 1666 to 1671. Ballinchalla indicated that he was involved in a Church south of the River Robe. Interestingly, it is possibly that this John Courtney is referred to, in the Kenny Family Tree, as being the root of the Courtney Kenny family’s branch in Ballinrobe. Thomas D. Eccleston, (d. 1707) was Rector and Vicar of Ballinrobe, Robeen, Any, Kilcoman (Kilcommon/Hollymount) and Taghkeen in 1671 – 1707. Eccleston was a Judge of a Consistorial Court 1672 and signed Addresses to James 11 (1685) and William 111 (1695). This Ecclesiastical appointment was for Holy Rood or Tempall Mór, north of the River. George Vesey (b.1681/82 D.1737) was educated at Christ Church College, Oxford and graduated with matriculation in April 1697 aged 15. He attended Trinity College, Dublin graduating with a BA degree 1701 and an MA 1703. He was Rector of Ballinrobe from 1707 to 1737 and having been educated at Trinity, there is no doubt that he was a Church of Ireland Clergyman. We know little about the size of the congregation before 1834 when the numbers of the Church of Ireland population in Ballinrobe amounted to approx. 450. This congregation was varied and from a large hinterland around the town. It would be composed of members of the gentry, landlords, medical personnel, school teachers, land agents, auctioneers, traders, widows, army officers and other personnel, members of the R.I.C, government representatives, staff and servants and various other members of the Church. The graveyard, the interior memorial stained-glass windows and wall plaques are all testaments to a congregation that lived, worked and contributed to the social fabric of Ballinrobe, all part of our vanishing heritage. 1668 saw the death and burial in Ballinrobe of Katherine Holcroft, wife of Sir Charles Holcroft, an English ‘Loughrea Commissioner’. This commission was set up to oversee the transfer of land to the transplanted in Connaught. The Holcrofts were certainly known, and probably friends of fellow Commissioner James Cuffe of Ballinrobe, who was also a “Commissioner and Secretary; with six Clerks, Messenger, and Doorkeeper”. He earned £156 per annum for this work plus, no doubt, a choice of good lands. Katherine’s death and subsequent burial at Tempall Ruadan/St. Mary’s, now the Local Library, leaves no doubt where the Anglican Church was set up, and that it was in use as such, at that time. Apart from Katherine Holcroft’s 1668 Memorial the next earliest Grave Stones are of Mr. Hugh Evans 1718 and Mr. William Smith 1719. These well preserved ledger stones were removed from their original location near the Chancel within the Church in the 1990’s. Apart from these stones there are approximately 44 remaining grave markers pre 1799. The graveyard surrounding St. Mary’s Church is a tranquil oasis right in the centre of the town but often missed by the passer-by. In addition to its aesthetic value and interest, the Church and its churchyard monuments and memorials give a tangible connection with our history, in a manner which history books can never achieve. It brings people physically in touch with their history, and provides clues to historical events which shaped our country and our landscape. At first glance the churchyard is merely a piece of land surrounding the church building. It is given a different status from a garden simply because of its role as the burial ground. However, a closer look shows that the relationship is much more complicated and unique. This building/curtilage relationship is vital for those remains that dwell there, and have a significant role in terms of social history and biodiversity. In this heterotopian space we find many hints of a past community. There is something special even about the most unassuming and neglected burial area. 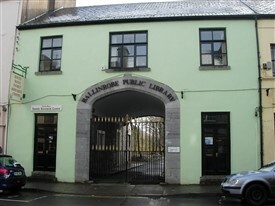 It yields much information for dating, evidence of the social order of the community, the wealth and poverty of the congregation, contributes information for the changes to the fabric of the building and biographies of some of the men, women and children that lived in Ballinrobe, either permanently or temporarily, from the 17th century to the present day. It can be difficult to trace family history prior to 1850 and the fire in the Four Courts in 1922 was certainly no help to the Country’s history. Memorials can often be the only record in existence of some people. A significant burial plot on the north side of the Church which, unlike early Christian burials, would rarely be on north side is the burial site of the Cuff and Knox families. All of these tombs were possibly constructed by local craftsmen, in limestone, which is abundant in the area. Other types of stone would have become available with the appearance of the railways. The east side of the Church has the latest burials, while the south hold the largest number of grave stones including, the railed in plot of the Gildea family and the walled in-plot of the Kenny family, together with a selection of other grave types. Each graveyard has its own special features and most have memorable memorials and could even be described as an Art Gallery in stone. This graveyard and its memorials need to be cared for, so that future generations can also experience their heritage. St. Mary’s graveyard contains over 225 legibly named burials. A full list of the names and dates of burials is available from Mr. Gerard Delaney, South Mayo Family Research, whose office is at the entrance to the Library. St. Mary’s contains a number of unmarked graves and commemorates numbers not remembered by a memorial or headstone, the paupers, who are referred to in the only Vestry Minute Book remaining of St. Mary’s. Stained-glass is supreme among all mediums in its power to express character and emotion in pure colour. It is restricted, but in the hands of an artist even this restriction adds vitality and scope to its great power. Dark leads, stay-bars with hand carved supportive stone mullions all contribute to the glory of transparent glass in light, together with the rich blues, reds, yellows, greens, and all the jewel-like colours of the glass. A stained-glass window can never be a picture. It is essentially a flat decoration through which light must play. Whatever its richness of detail, its component parts of glass and lead determine its simplicity and directness and its tendency toward the silhouette rather than the subtleties of tone which are associated with pictorial art in general, and especially painting. It is the privilege of the master craftsman in stained-glass to celebrate in terms of pure colour and light, and so make a direct appeal to emotion even before the subject matter may be appreciated and understood. After the Reformation very few of the magnificent stained-glass windows remained in churches as they represented the hated idolatry perceived by the Reformers and plain glass was the standard for many Churches of Ireland and were in St. Mary’s until the insertion of the large and two smaller memorial windows. Four handmade clear glass windows remain. In the later nineteenth century, memorial windows became acceptable by the Protestants and became the mainstay of most stained-glass studios. Deceased loved ones were honoured with the installation and dedication of the windows with traditional themes, including Biblical subjects becoming popular. There is one large stained-glass memorial window at the east end of the Church with two smaller ones on the north and west walls. The main window commemorates Colonel Charles Knox of Cranmore who died 1867. Born in 1817 he married Lady Louisa Catherine Browne, daughter of Howe Peter 2nd Marquees of Sligo in 1839. There is a brass plaque to her memory below this window. She died 1891. It comprised three panels representing: centre the Ascension, right The Good Shepherd and left The Light of the World. On the left side the memorial window remembers “Major Charles William Cuff Knox, Rifle Brigade, died 25th Jan 1910 aged 39 years” and the one on the rightside is “In memory of Charles Howe Cuff Knox who died 27th Dec. 1921 aged 81 years”. He had lived at Creagh. During the iconoclasm of the Reformation wall paintings were removed from Churches leaving many blank spaces. In many churches these spaces were filled by monuments mainly to the wealthy. The lack of competition from religious paintings and a tolerance for figurative sculpture by Protestants in memorials, led to the production of sculptural church monuments. The wall monuments within St. Mary’s date from the early 19th century and apart from the one outside already mentioned to Katherine’s Holcroft’s memory there is no evidence of any further wall plaques until James Cuff’s of 1828. Often plaques were the only memorial to people who died in cholera epidemics as their bodies were quick limed and probably buried in a mass grave somewhere in Ballinrobe. This would have been the case with Mary Anderson who is remembered with a wall plaque. There are eight plaques mounted within the Church with the Ruttledge one being moved from Hollymount to Ballinrobe. For details on each plaque see article by Averil Staunton on the History of St. Mary’s in the local collection section of the Library. A key element in the sacralisation of space in Ireland was the association with a founding saint, in St. Mary’s COI case, St. Ruadan. When did the name change to St. Mary’s? This is something that as yet we do not know, but it clearly reflects the priorities of the ‘New English’ of the 17th century. The identification of the church as ‘St. Mary’s’ indicates a post-Reformation date, at a time when devotion to Mary remained strong. St. Mary’s is the older Tempall Ruadan as confirmed both by the documentary evidence of Hubert Knox, and by the physical evidence of a pre-Reformation feature such as the evidence of a removed piscina. The plastered over gothic doorway also contributes to this evidence. There is clear evidence of Anglicisation from Tudor times available from the clerical appointment lists. While a lot of the headstones and tombs have been damaged, great efforts are being made to cut the grass, keep the place tidy with the provision of bins, and the locking of the gates in the evening to prevent revellers visiting late at night. Craig, M. The architecture of Ireland from the earliest times to 1880. Portrane, 1989 p, 18. McWalter, Patria. 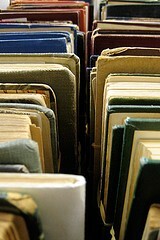 Kenny Papers 1730-1939. MP/03. Local History Dept, Mayo County Library, Castlebar Appendix A. Rice, James. Inscription on monument in Christ Church Cathedral, Waterford, Ireland. Staunton, Averil. History of St. Mary’s Church of Ireland, Ballinrobe 2010 available at Library. Personal Interviews with former Members of St. Mary’s Church. This page was added by Averil Staunton on 23/01/2011.